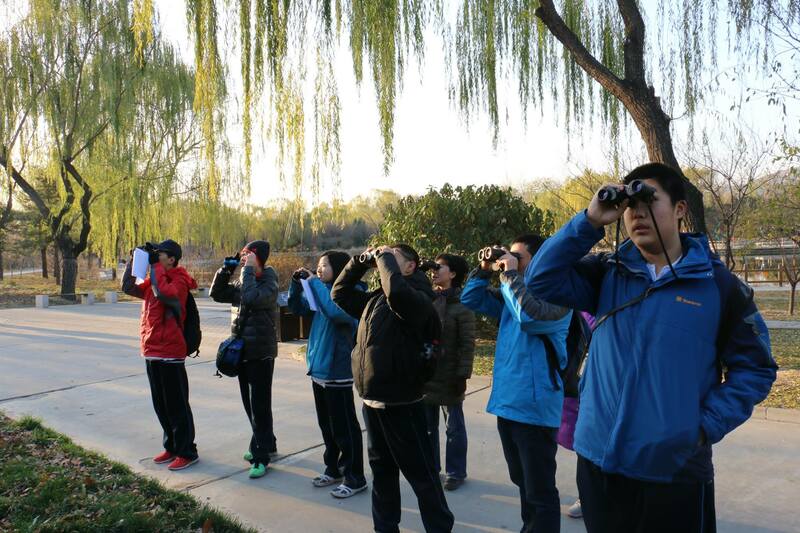 Over the last two years I’ve worked with Luo Peng to develop EcoAction’s Youth Birding Club, helping to lead birding trips to some of Beijing’s best birding spots and supporting the development of the children’s birding skills. 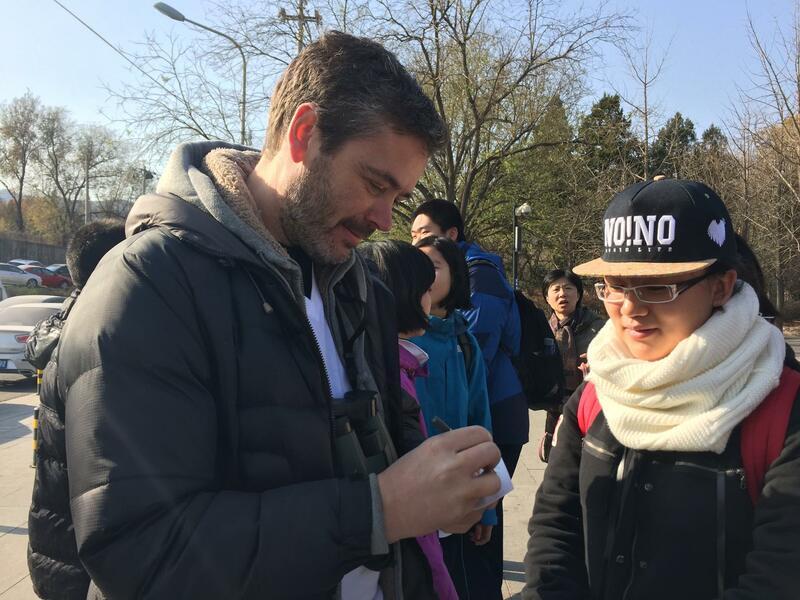 It’s been one of the most rewarding aspects of my time in Beijing. The Club was set up to help young people to connect with nature through birding and so far more than 30 children, often accompanied by their parents, have participated, most of them joining several trips. With thanks to Swarovski Optik, we provide binoculars and encourage the young birders to observe closely, write notes about what they have seen and learn about the lifestyles of the species and the habitats they need. Some have set up their own microblogs to share their experiences. Through this post I wanted to introduce readers to three of the young birders. Each has answered some questions about themselves and birds. I hope you enjoy reading their answers as much as I enjoyed going birding with them. 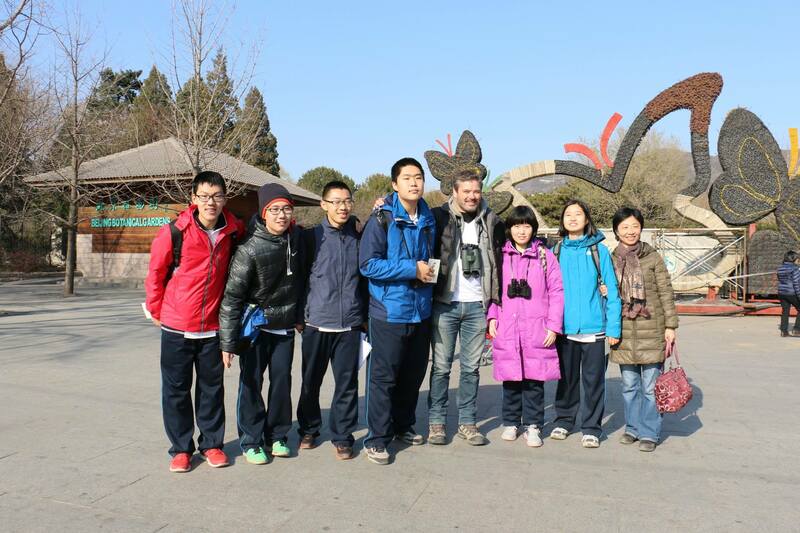 These brilliant young people are the future of conservation in China. How long have you been interested in birding? I have loved wildlife and nature observation since I was little, including birding. I started birding regularly when I went to Borneo last year. Since then I have participated in several birding activities, including birding in Africa and Borneo again. Which bird is your favourite? I love all birds except ducks, but the pochard is OK. At the beginning of my birding, I liked White-crowned Hornbills, when I saw them in Borneo. The most lovely and graceful bird as far as I see is the Marabou Stork (秃鹳) and, among all the birds I saw in Beijing, I like the Pied Harrier (鹊鹞) and Black Stork (黑鹳) the most. The most peculiar bird is the Great Barbet (大拟啄木鸟), which I saw in Borneo. It is very funny that I saw Great Barbet for the first time during the evening, just beside the insect lamp-trap. Now Chestnut-breasted Malkoha is my favourite bird. I was so excited when I first saw such a big bird jumping on a small tree just one metre from me in Borneo. Its beautiful feathers were shining in the sunshine. I was happy for a long time. Why do you feel it is important to protect birds and their habitats? Birds live in their specific habitats and they only perform naturally when they are at home, which is quite different from those living in the zoo. So the birding is more interesting. What do you want to say to other children with no birding experience? What I would like to tell other youth in China is, there are many bird species which only live in China, and birding can be very easy. 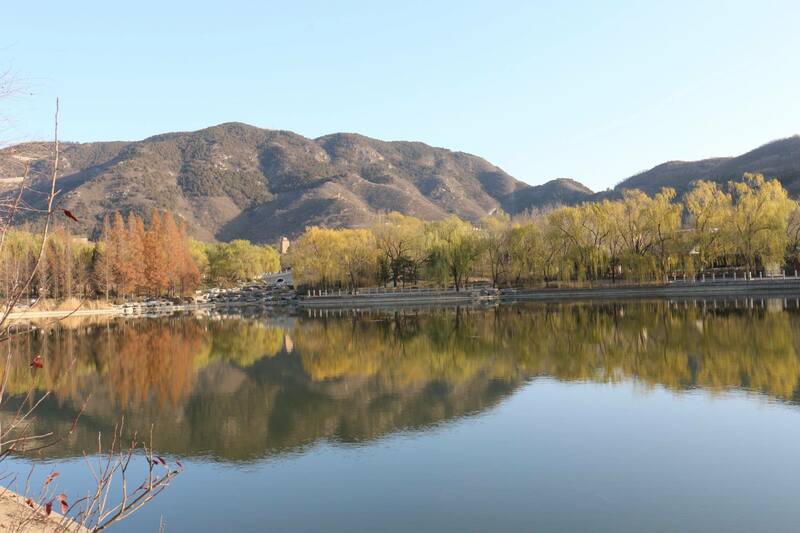 We can easily see 30 to 40 different birds on the outskirts of Beijing. Birds are everywhere, on the lakes, on the beach, in the forests, on the mountains and everywhere else. They are all very beautiful. Come birding with me! I started birding when I was 5 years old, for more than 1 year now. My favourite bird is the Common Kingfisher. I love nature and want to protect it. If we only seek money, have lots of money, buy many toys, and throw them in the ocean when they are broken, there will be tons of rubbish. Birds may eat these small pieces at food, and that is harmful for them. And batteries, even only one, can pollute important water sources and wild plants. Without a healthy environment, plants will die, and birds will have no place to nest, animals will lose their food, and we cannot live either. I want my little friends to love the nature as I do. We can play with our family in nature and can make friends with animals and birds. I love and enjoy this kind of life, which has taught me a lot. If we only play with iPad, our eyes will be damaged and the money we earn in games is fake, means nothing. Birding is good for the eyes. I have been birding for more than one year, since February 2016. I have seen over 400 different birds since I started, but I don’t favour any particular bird species. Each of them is special. The most important part of bird protection is habitat. They can only breed well in suitable habitat, so that the population can increase and we can carry out better study of them, introduce them to many more people. This is the most important thing to protect biodiversity. I would like to tell my friends who do not go birding that birds are our closest friends; we can hear them sing everywhere – in our yard, in the street and in nature. As long as you look carefully, you will find them. They not only have colourful feathers, but also perform interesting behaviours, the same as us. For example, many birds will dance during courtship, and many bird parents will sacrifice themselves to protect their babies, just as human beings do. They are also awesome architects. It is so interesting to observe and understand them. The EcoAction Youth Birding Club was set up to introduce children and their families to nature through birding. 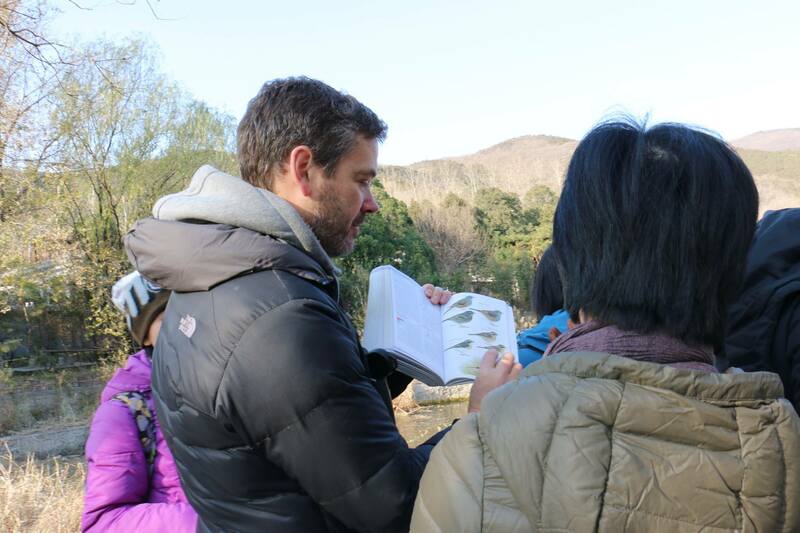 Led by experienced birders and conservationists, the trips visit a variety of birding hotspots around Beijing and encourage children to learn about the species they see, the habitats they need and the importance of conservation. The next trip will take place on 14th May to Yeyahu Wetland Reserve, when we will be participating in the Global Big Day, a project set up by eBird to record as many species as possible across the world on a single day. 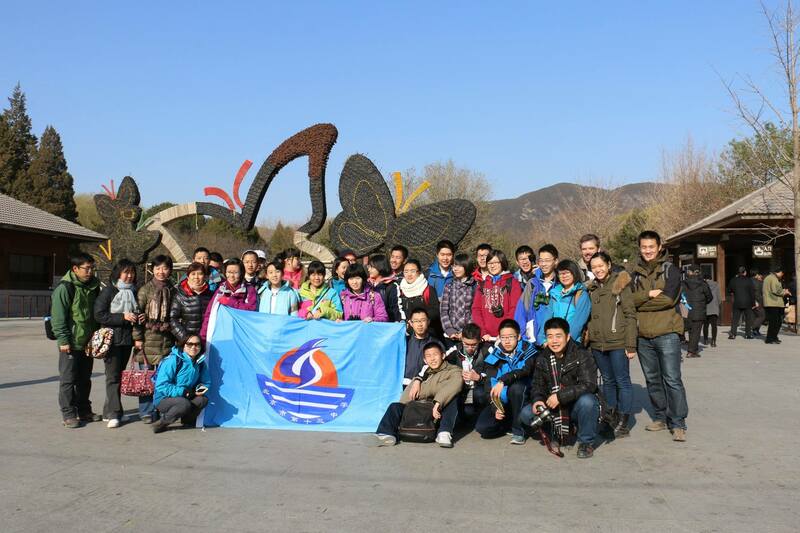 For more information about the club, the forward programme and for reports about previous trips, please add “EcoAction” on WeChat or contact Luo Peng on peng.luo@ecoactionnow.com. 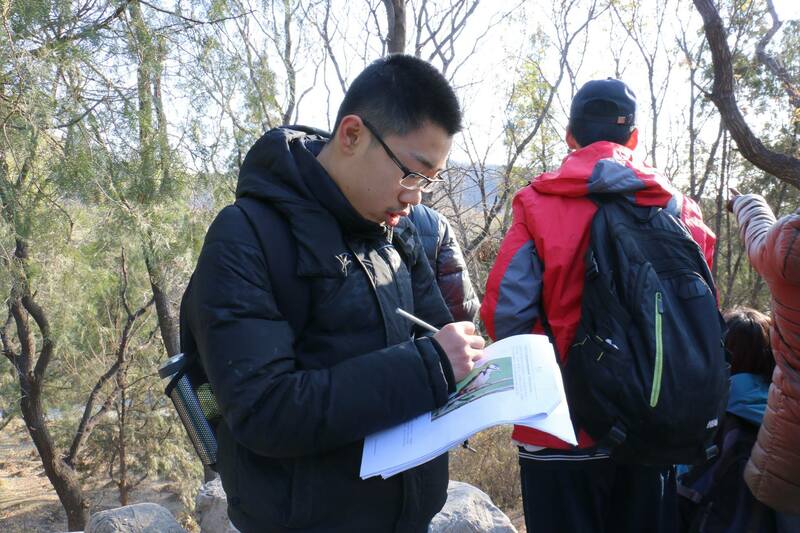 Thank you so much to Chen Yanzhi, Gao Zijun and Li Haoming for being great company on the birding trips and for taking the time to answer these questions. Thanks also to Luo Peng and Wu Qian for their help with this post.